Welcome to our new ‘Get The Salon Look‘ mini-series. 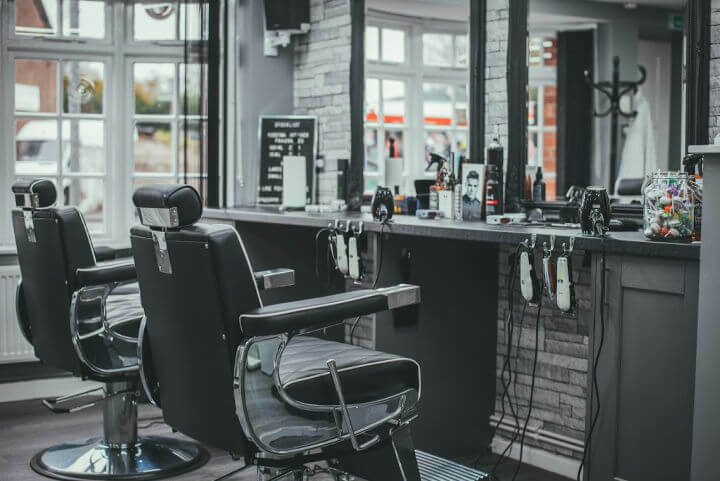 Here at Salons Direct, we know you love and enjoy our regular ‘Salon Design Of The Month‘ feature, where we take a look inside some of the world’s most aesthetically pleasing salons. 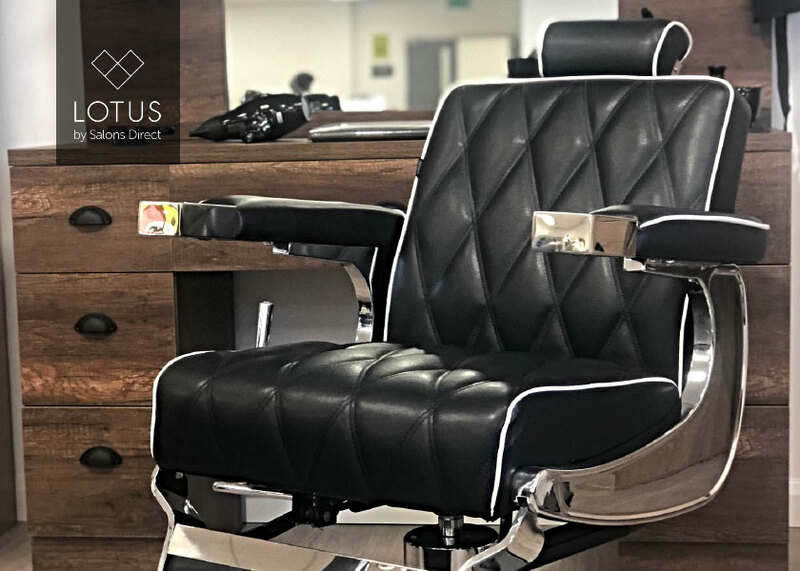 Well, we’re now taking things one step further, and bringing you a first-hand look at our fantastic hair, beauty and barbering furniture in action and in real salons near you. 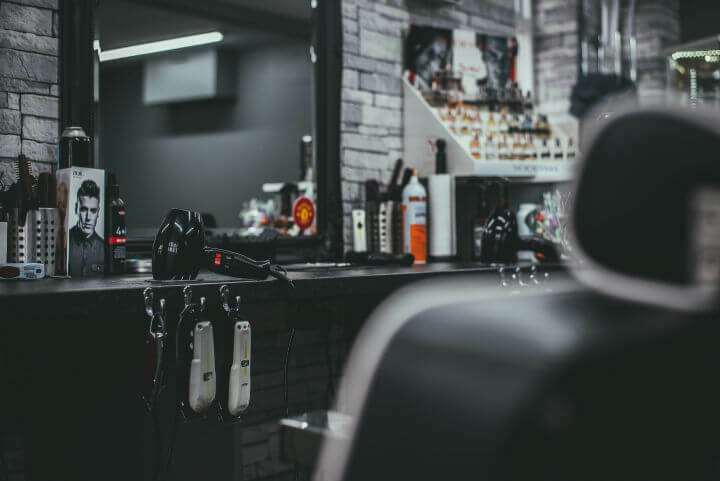 In today’s article, barbershop owner Ryan Dutton of ‘Dutton’s Barbershop‘ in Stoke invites us into his barbering salon to find out more. After working as a barber since I left school, I always envisioned owning my own shop one day. After 15 years, I was ready to branch out on my own – I was just waiting for the right shop to be available. I finally found a property in early 2018 and that’s when Dutton’s Barbershop was born! I wanted to focus on both modern and traditional decor and for it to to be warm and welcoming to all customers. I believe the key elements for a successful salon are exceptional customer service and giving each and every customer an unforgettable visit. I achieve this by ensuring the environment is accommodating, making sure the salon is clean and tidy and having a good professional manner. Communication is also key to ensure every detail of the client’s needs are met. It’s important to build lasting relationships to ensure custom will continue for years to come. My go to products that I have used over many years are the Muk pastes and creams. I choose these as they give different effects of styles such as strong hold, wet look, natural, they are excellent quality and their company is well known and trusted. Tools I use include Andis which are great for using to create a skin fade, Wahl detailers to sharpen and position when lining out the hair, Wahl cordless clippers which are ideal for use on childrens hair and the Wahl super tapers for everyday use. Shop barber chairs at Salons Direct today!